A durable pressure treated log and shed store. 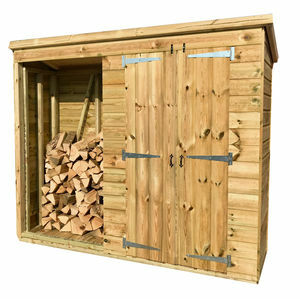 Easy access, solid construction and years of low mantainance log and garden storage. The Atlas Tanalised Log Shed Combo is complete with full tanalised tongue and groove cladding for a long lasting shelter, and a dual storage compartment requiring minimum maintainance. 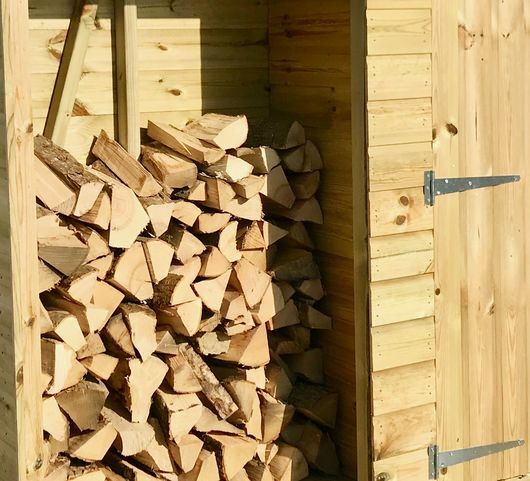 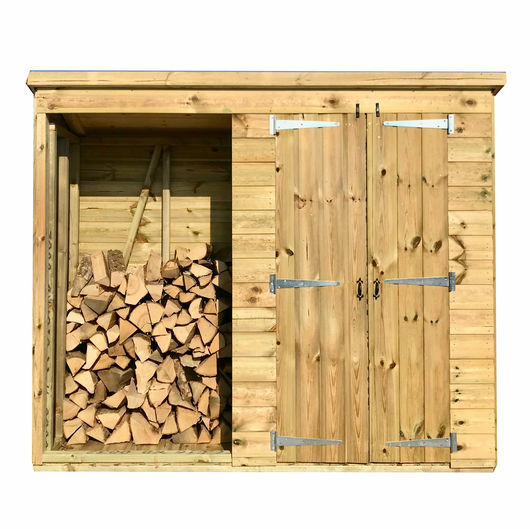 Our garden log shed has been designed to maximise log storage and comes with a separate shed compartment for dry garden storage. 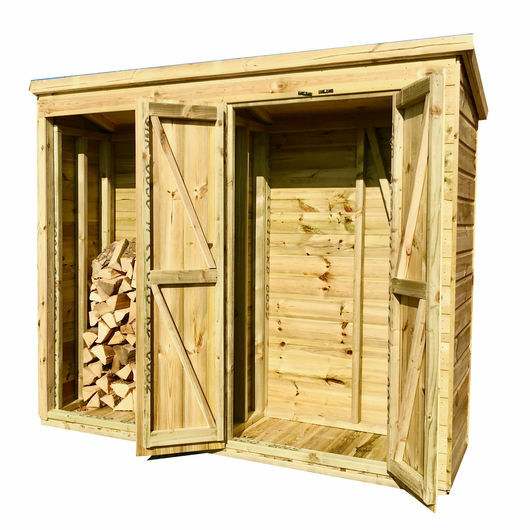 The roof is comprised of 12mm tongue and groove and is felted with extra tough polyester backed felt.